Happy Monday folks! I hope you all had an enjoyable Father’s Day weekend! 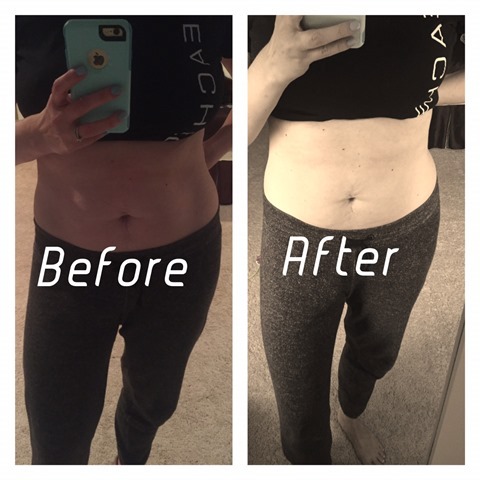 Because it was likely a weekend of cookouts and fun, with lots of yummy food that probably isn’t exactly all that good for you, I thought now would be a good time to share the results of the 3-Day Refresh I completed last week! As some of you may or may not know, I had my appendix out in early April, and that prevented me from working out for a good 6 weeks. During that time I tried to maintain the best eating that I could but found that it was a lot harder to do when not exercising so eventually I ended up going from my lowest weight in 3 years back up to a not so great weight. Once I began working out things started to level off again but I was feeling like I needed a jumpstart! Breakfast was easy because that is what I have for breakfast everyday! That felt like a bonus! The Mid-Morning Fiber Sweep was the part that I was most hesitant about but it turned out not to be bad at all! The drink itself has a lemony flavor to it and you just have to be sure to drink it immediately after mixing it so that it doesn’t congeal the way most fiber drinks tend to do. 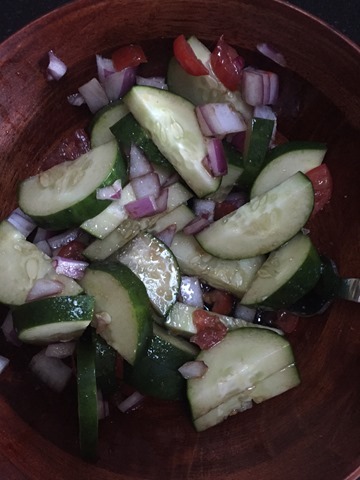 Because I am a creature of habit my lunch and afternoon snack were the same all three days. 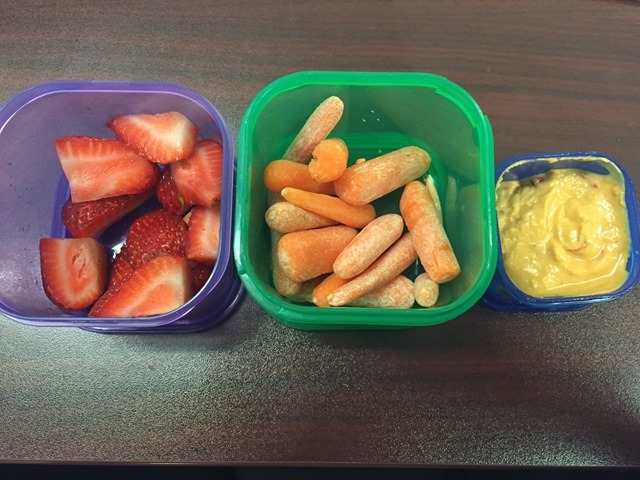 I would have hummus and carrots, along with strawberries to go along with my Vanilla Fresh shake at lunch and follow-up with celery and almond butter as a snack. I also opted for a cup of organic chicken broth to go along with my dinner each evening. It was a pleasant surprise to realize how much I enjoyed that! In addition you can add in morning, mid-afternoon, and evening uncaffeinated tea. 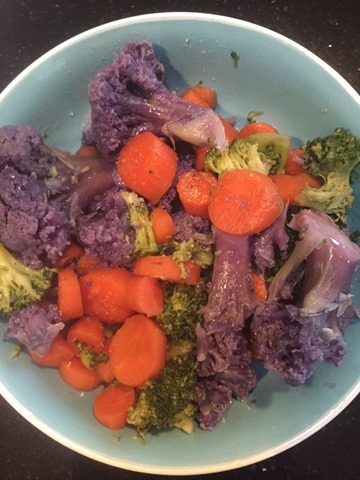 I had evening tea each night as it replaced that urged to go for one last snack or a glass of wine! 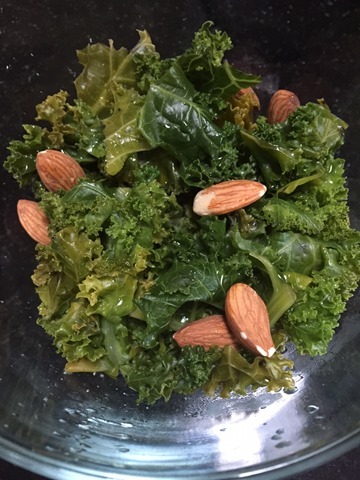 When the 3 days were over I stepped on the scale and was glad to have stuck with it. I lost 5 lbs! That may not seem like a lot to many people but for me it is HUGE! It was nice to see those results all while knowing I gave my metabolism the rest it needed to start working hard for me again! We all need a rest from time to time, our muscles need rest, so why not our metabolism? I’m thinking about making this a monthly or every other month routine for me. 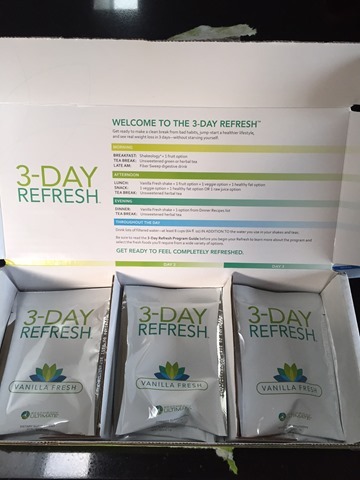 If you have more questions about how the 3-Day Refresh works or want to join me next time, please comment below or feel free to send me an email, I’m happy to go on that journey with you! Yesterday morning I woke up and turned on the DVD player, ready to do a specific workout, and then…..nothing. I kept getting an error message that my disc was dirty. I did everything I could think of to clean the disc and it still would not work. I am someone that likes to stick to my plan, and do not like when my plan gets thrown off, so of course I started to panic! 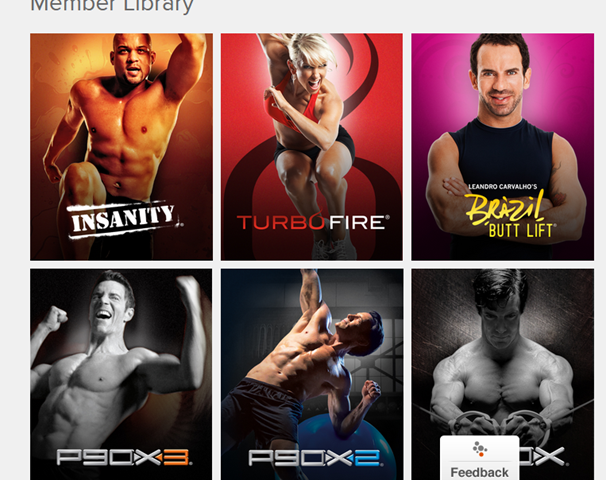 I took a deep breath and remembered that I have access to Beachbody On Demand….hallelujah! 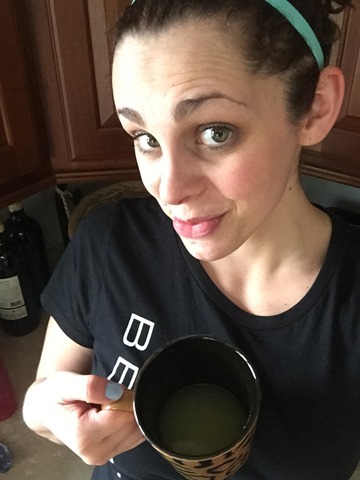 Beachbody on Demand (BOD) was just released last week and the timing couldn’t have been more perfect for me! Additionally, the library contains one workout from each of Beachbody’s newest and most popular workouts. It’s a great way to “try before you buy” the newer programs. Later this month Beachbody will also have the capability to add in any full workout program that you currently own into your BOD library. I LOVE this because I own 21 Day Fix, 21 Day Fix Extreme, and T25, so by the end of March they will all be in the BOD library for me. If the 21 Day Fix – Yoga Fix were in there yesterday my disc not working would not have been an issue. BOD also leaves me with NO excuse not to get my workout in when I’m traveling for work or on vacation. As long as I have video streaming capabilities I will have access to all of these programs. I sometimes have days that I just want to get out of the house and go to the gym so this could be a fun way for me to switch up my gym routine too. Maybe I could even do yoga outside if the snow ever melts….it will melt, won’t it? I’m really looking forward to checking out P90X3, I hear Tony Horton likes to “Beyoncify” some of the moves in this program. 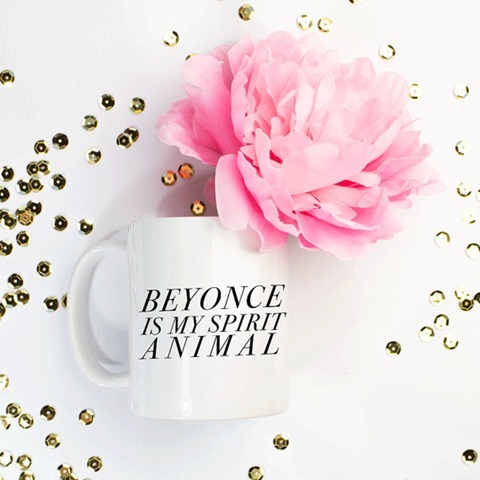 I do love me some Beyonce! 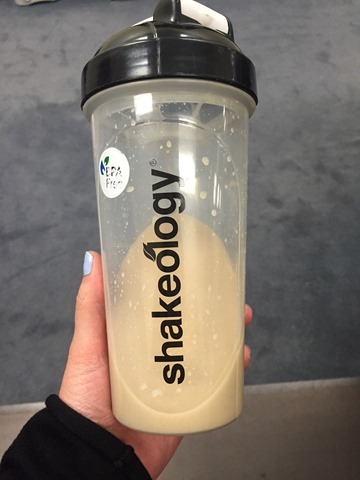 What Beachbody on Demand (BOD) program would you want to try?